Middle School is a place where student capabilities; literacy, numeracy, ICT, creative thinking, ethical understandings, cultural awareness, personal and social development are broadened and deepened. The primary pastoral and spiritual care of students is co-ordinated through Heads of House and Tutors. Student leadership is also encouraged through the House system. The curriculum, through compulsory and optional subjects, prepares students for academic, civic, social and entrepreneurial participation in College life as well as promoting health and wellbeing. The curriculum is enhanced by an extensive co-curricular program, including sports, cultural, technological and academic extension activities. 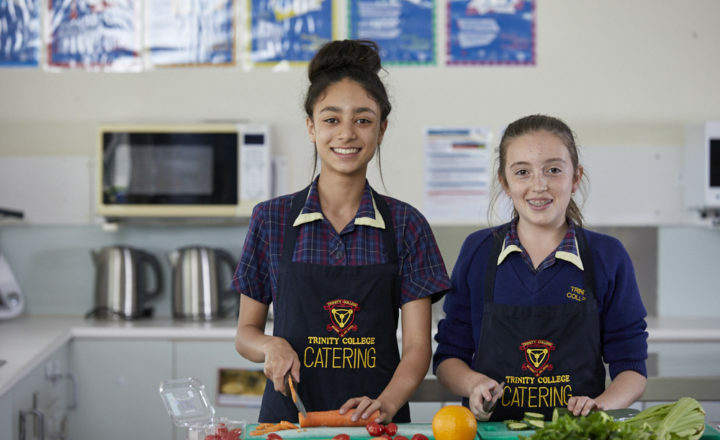 This range of choices provides students with the opportunities they need to begin to specialise their learning in areas of particular interest while equipping them to flourish in their Senior Schooling including vocational pathways.